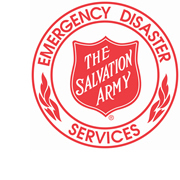 The Salvation Army's Northern New England Disaster Services provide assistance to those living in Maine, New Hampshire and Vermont. Whether it is a local incident or a major disaster, Salvation Army officers, staff and volunteers are there to respond. We assist in County, Federal, State, and Local Law Enforcement, Fire and Rescue incidents, and are available to support agencies in their training and public awareness efforts. If you are interested in volunteering in disaster relief efforts please fill out our online volunteer registration form. For further information or assistance, contact the nearest local Salvation Army office or Lynda Butts at Divisional Headquarters in Portland, ME.